The theme for this month’s Bostik Blogger craft is the garden. With the gorgeous weather we have been seeing lately, hopefully we have all spent many happy hours outside, enjoying nature. 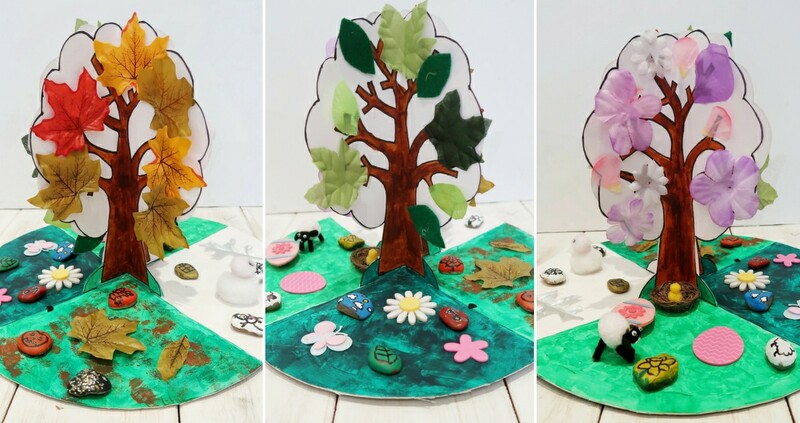 This seasons craft makes a great educational model to teach children about the changing weather and times of the year. 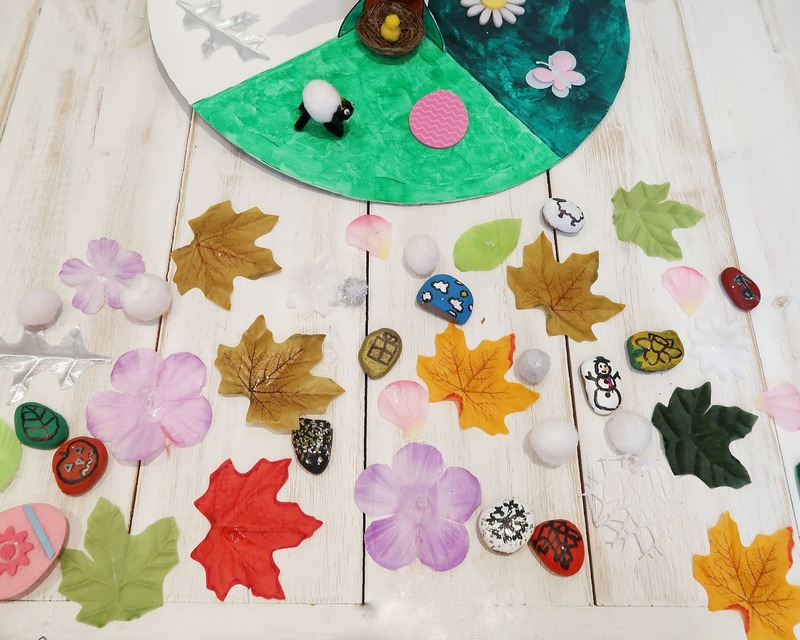 It also has the added bonus of being a sorting activity that you can use again, or decorate for each particular season as it arrives. Kids will have great fun creating a winter scene in the winter section, or filling the branches full of blossom in the spring section. 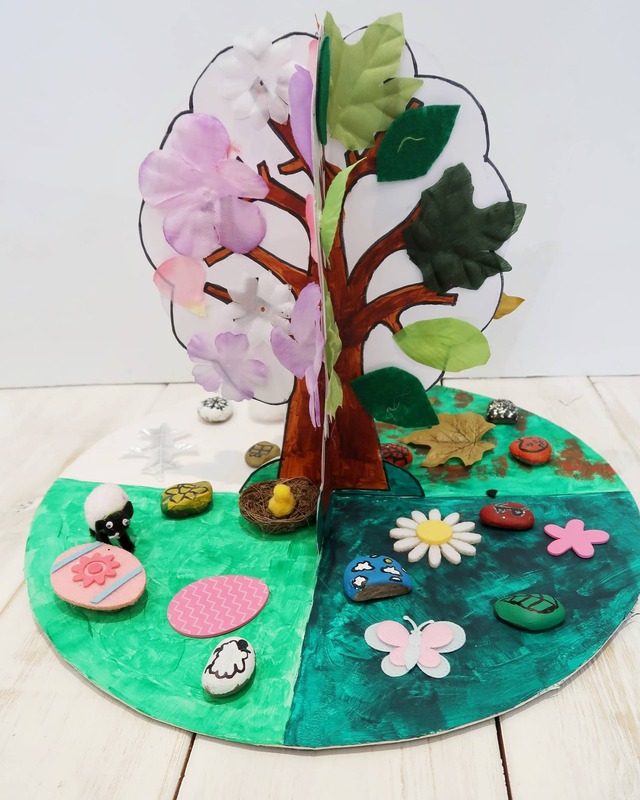 The model is made up of two parts – a central tree with sections for each seasons and a cardboard disc that is split into four for each season. There are also two parts to the sorting activity for each section, with objects to place on the tree and in the garden. 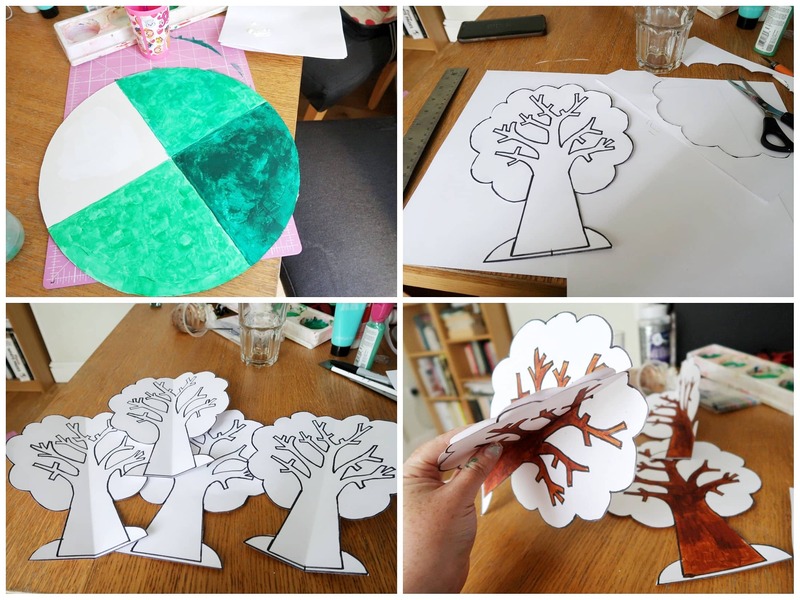 We have a great template for creating the four-part tree and you can download it for free below. Cut out a large circle of firm card – ours had a diameter of around 35cm. Next, divide it into sections and paint each one to match one of the four seasons. 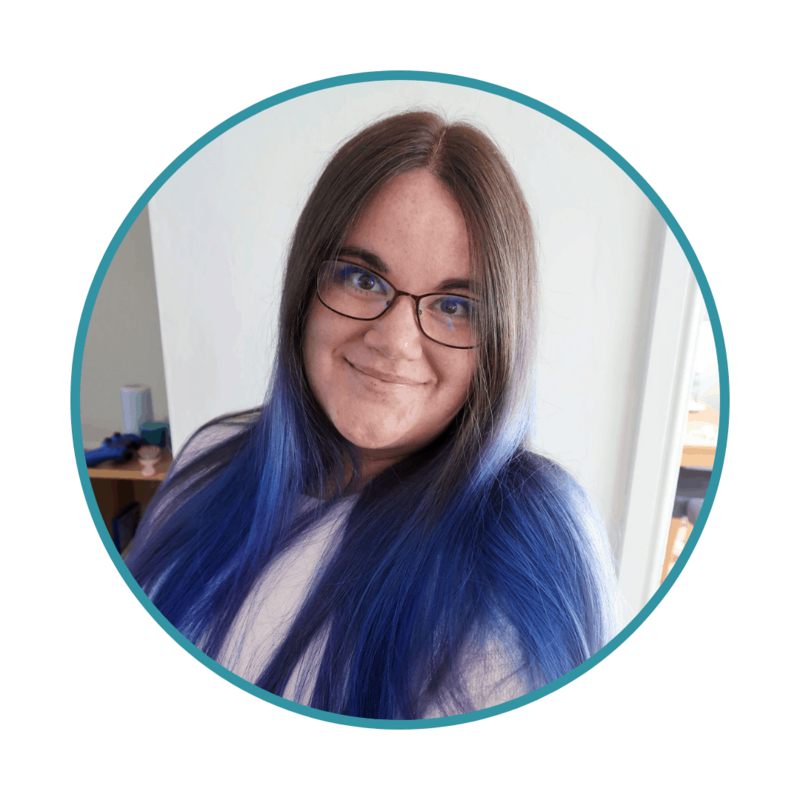 I used vibrant green for summer, a lighter green for spring and white for winter. The children can have fin joining in with this part if you wish. Next, you will need four trees that use our Free Season Tree Template. 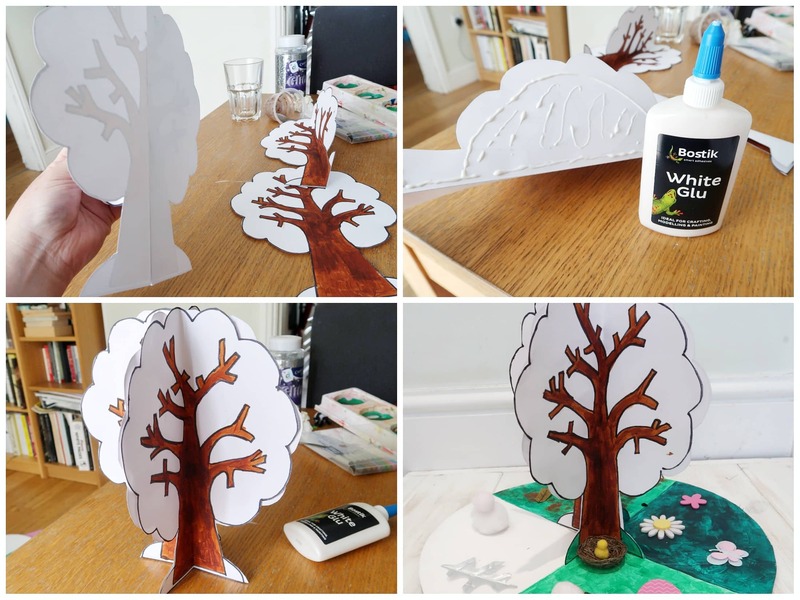 Trace or stick the templates onto card and cut out, so that you have four identical trees. I painted the trunks brown but left the leaves so that objects can be stuck on to create the seasons. Fold each tree in half, making sure the side with the tree details is on the inside. Then, glue the tree to the centre of your large circle, making sure that each quarter of the tree corresponds to a season quarter on the circle. I chose to add a few extra decorations at this point, including a chick in a nest and some flowers. 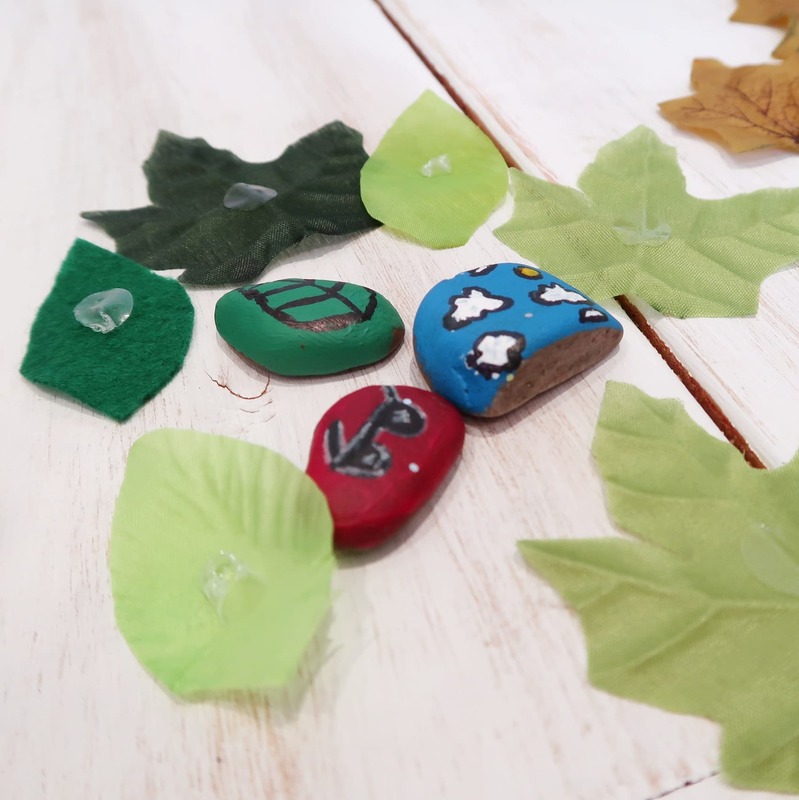 As part of our seasons craft sorter, we included painted pebbles themed with things from each season. These are actually a separate craft and can be prepared in advance for another activity. I made three pebbles for each season and chose objects associated with that time of year. The painted pebbles need time to dry before they are used in the sorting activity. Finally, you need to assemble all your season themed objects together. We had fabric leaves, blossom, white pom-poms, and lace. Attach hook and loop patches or cut strips of hook and loop tape (often known as velcro!) to the back of the items that will be placed on the tree. Add patches of the opposite part of the hook and loop tape to various branches of the tree. By using this you can re-use the objects and sort the seasons more that once. 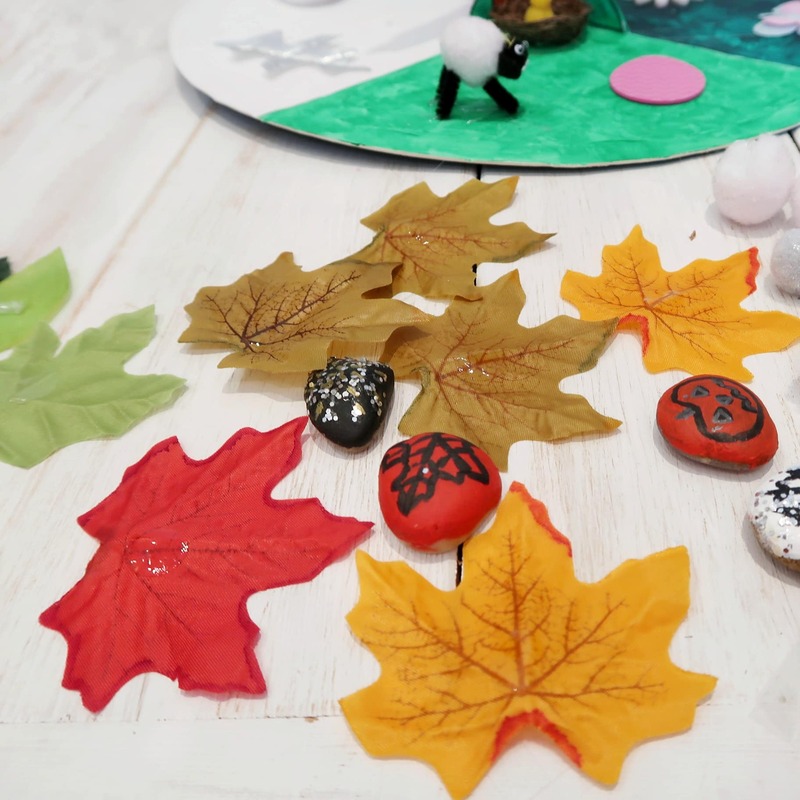 Once you have all the season themed leaves and pebbles together, you can jumble them all up to create a challenge for the children to create scenes with the correct seasons. They should place the right leaves, decoration and pebbles in the correct parts of the garden and tree to create all four seasons. This craft is creative and educational. 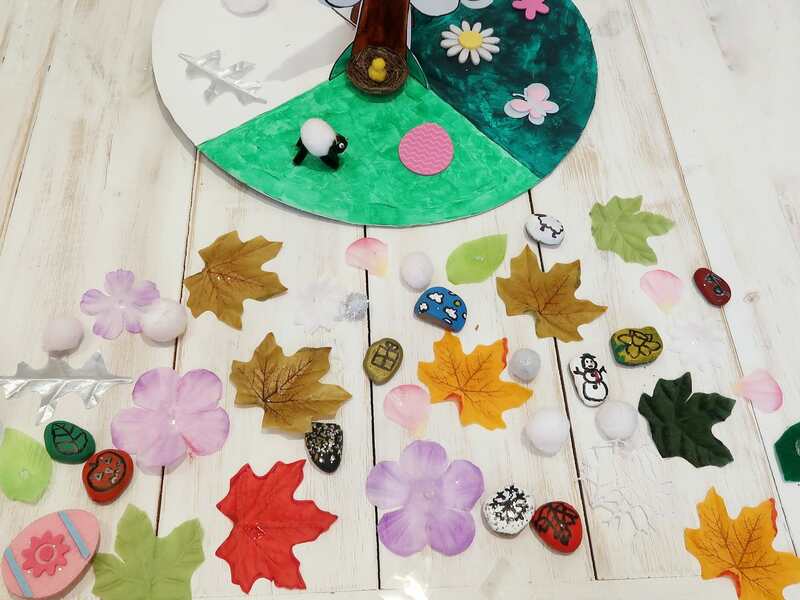 We hope you enjoyed our Bostik Blogger garden themed seasons craft for July. Remember to check back next month for another craft. Please note, Bostik send us a box of craft materials each month to complete the Bostik Blogger monthly craft challenge. We are not compensated in any other way unless stated. Some links in this post are affiliate links. For more information see our Disclosure Policy.